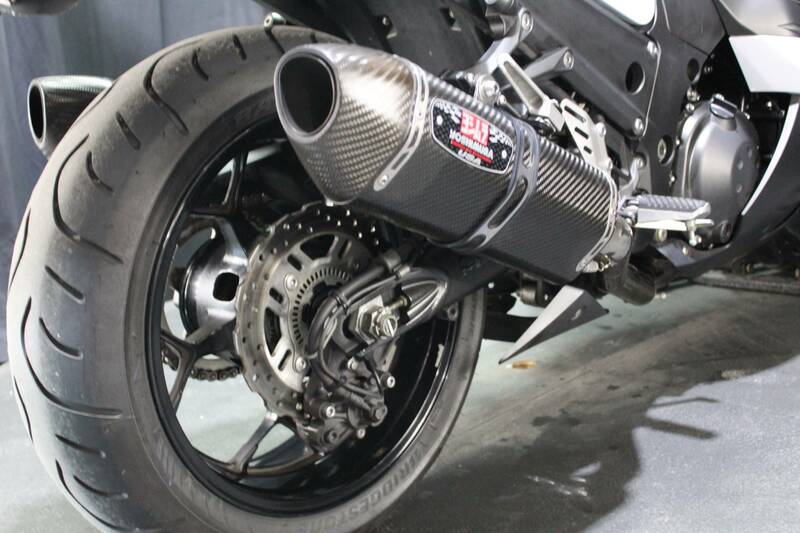 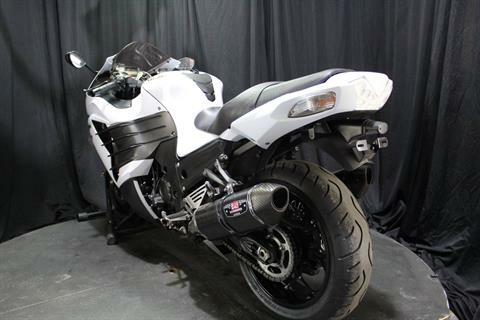 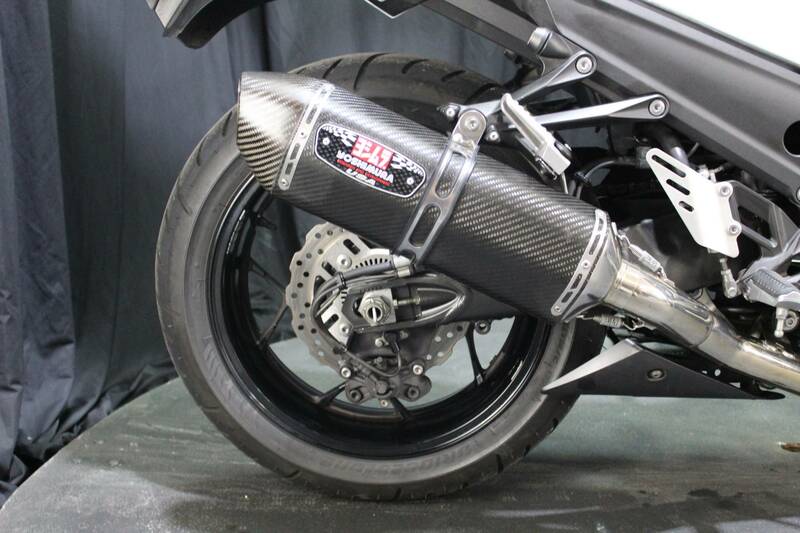 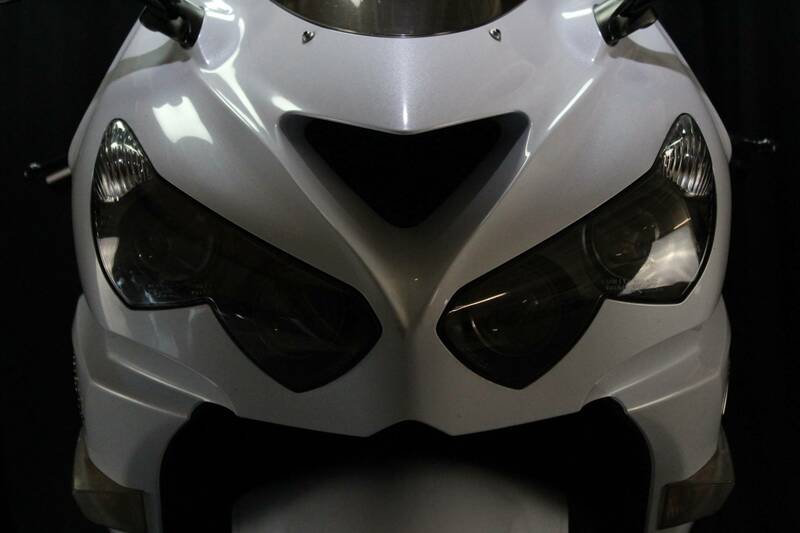 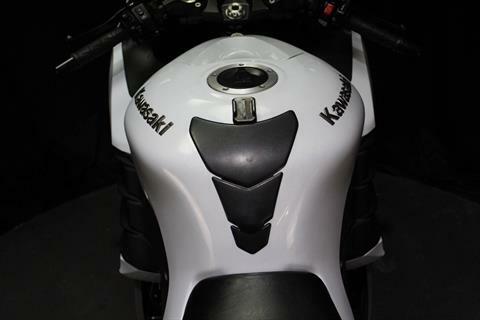 Superlative Performance: The Quickest and Strongest Sportbike in the World! 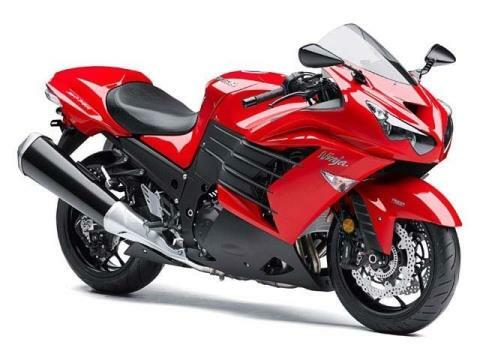 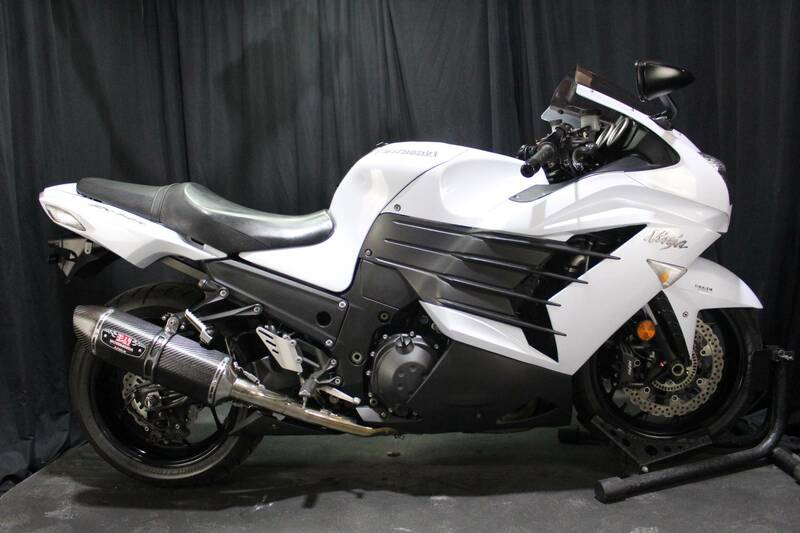 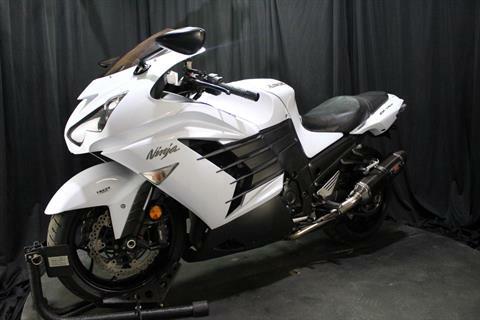 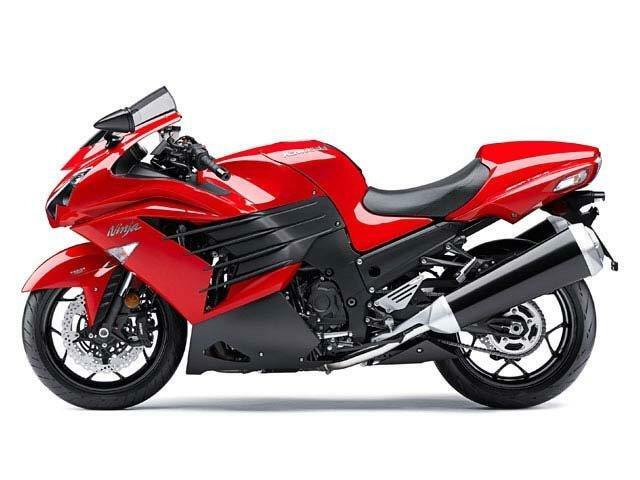 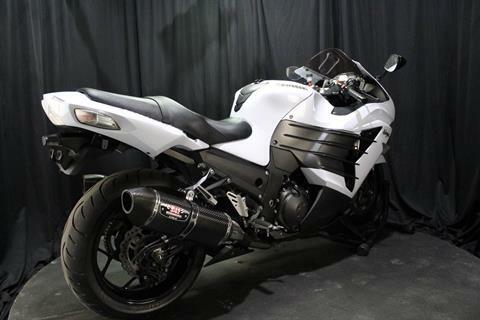 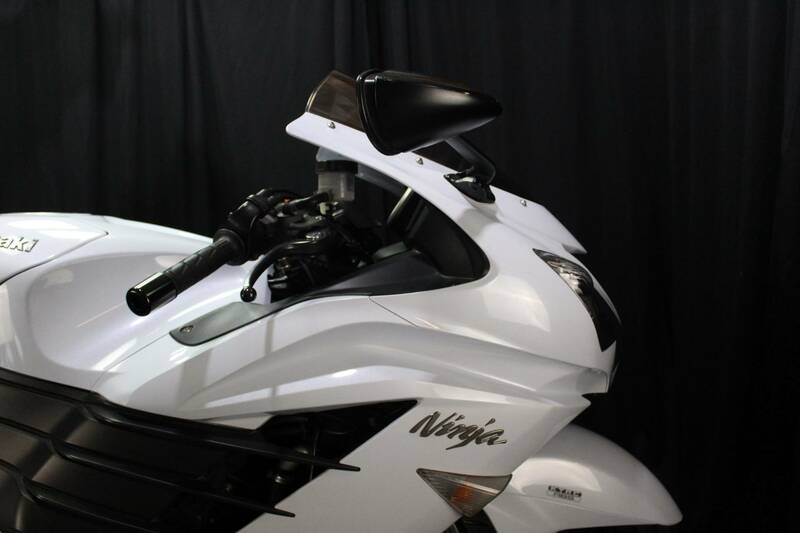 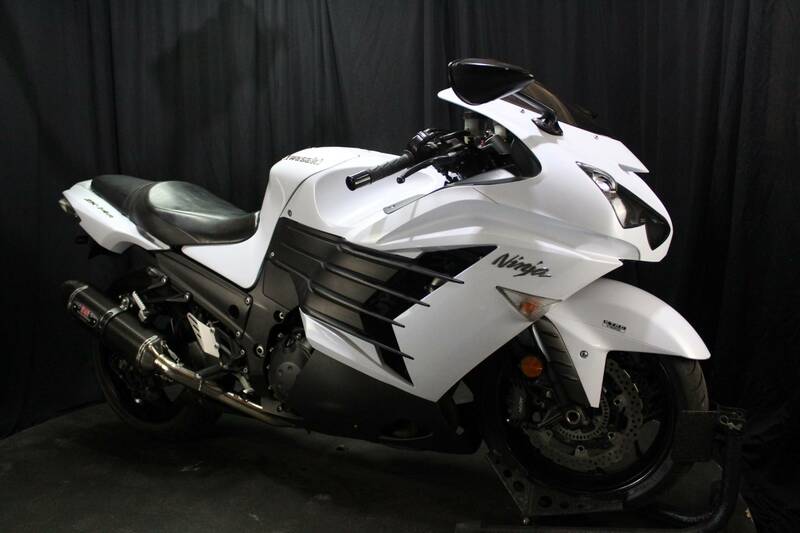 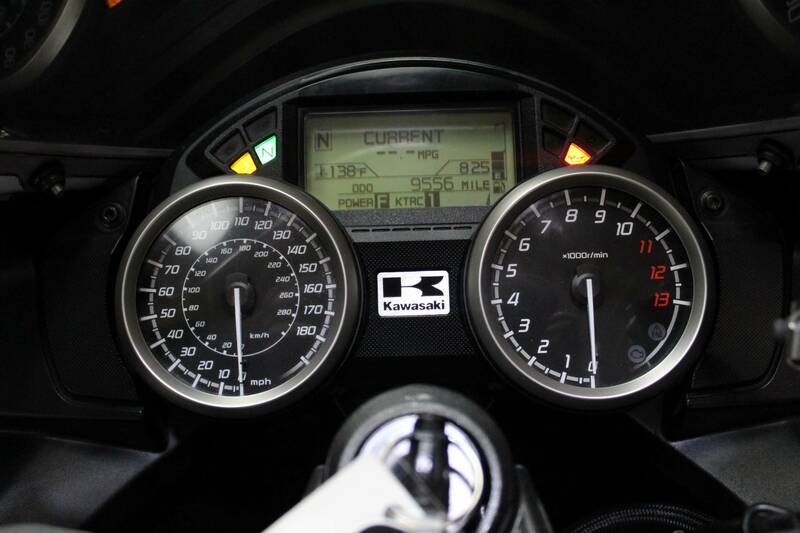 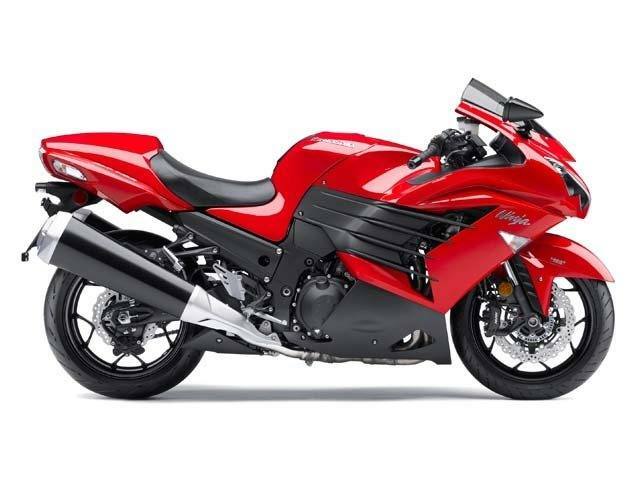 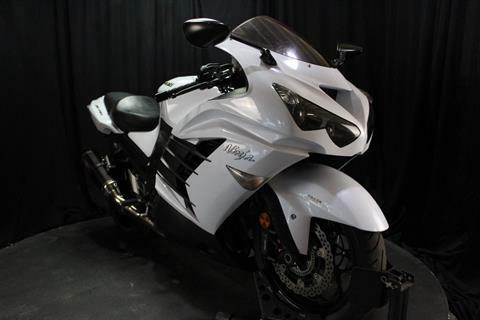 The massively more powerful, R-designated, Ninja® ZX™-14R made its debut last year as an almost entirely new motorcycle. 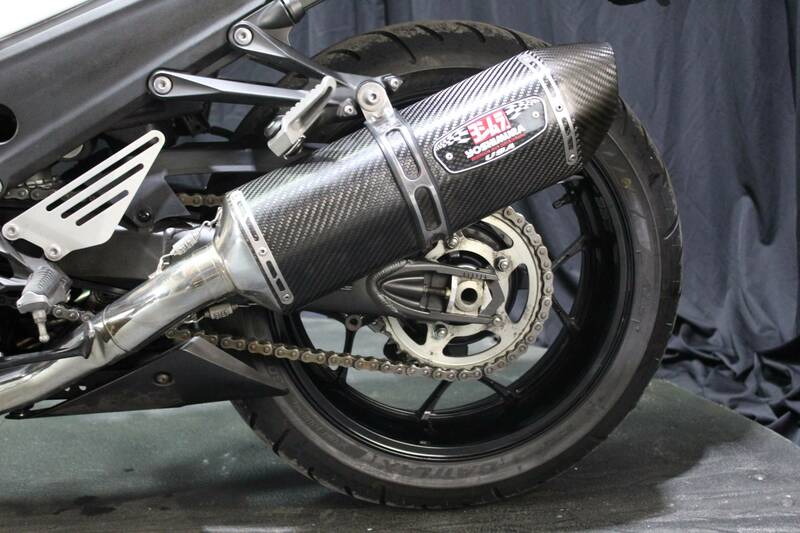 It remains on-top for 2013, reigning as the undisputed king of the sportbike world. 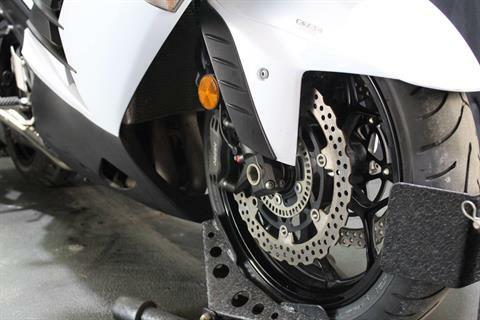 New ABS brakes complement its amazing comfort and usability on the street, and help increase its appeal to a wide range of riders. 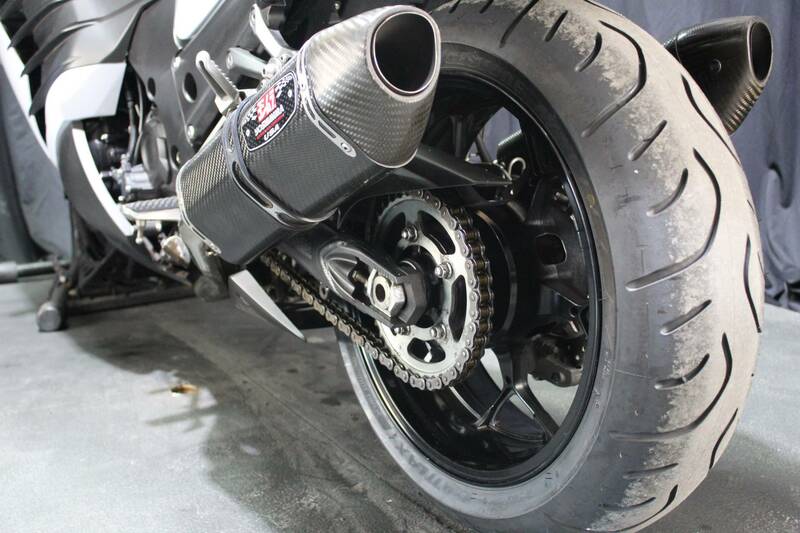 It has to be tough competing against a machine like the ZX-14R, year after year, and continuous refinements have kept it several steps ahead of the sportbike competition, all while filling enthusiasts’ face shields with wild, ear-to-ear grins. 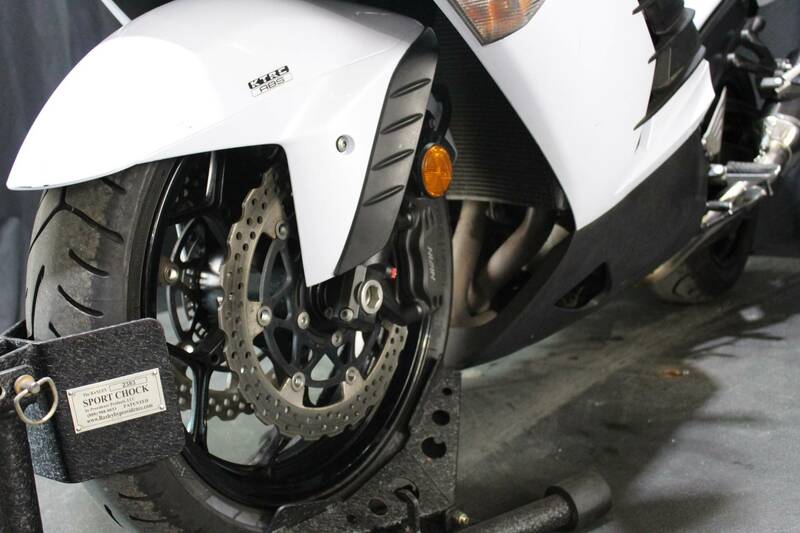 A separate brake pad is used for each piston. 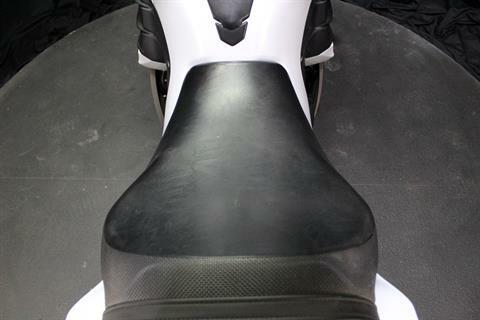 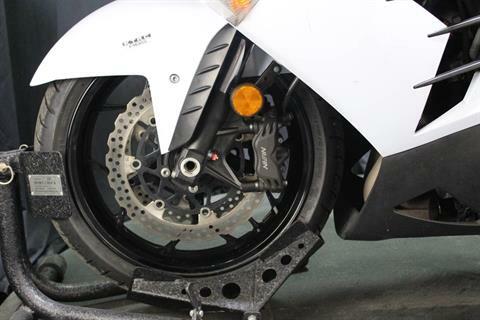 Individual pads provide increased cooling efficiency and can absorb more heat without deforming so they maintain a consistent brake feel longer. 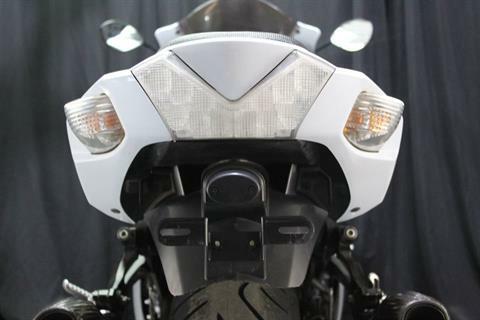 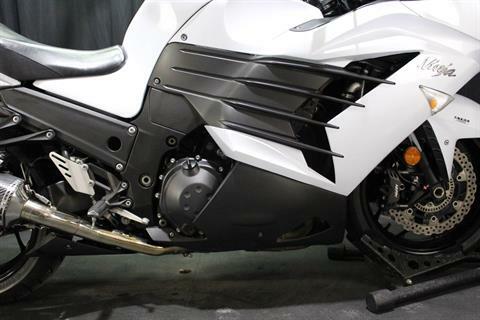 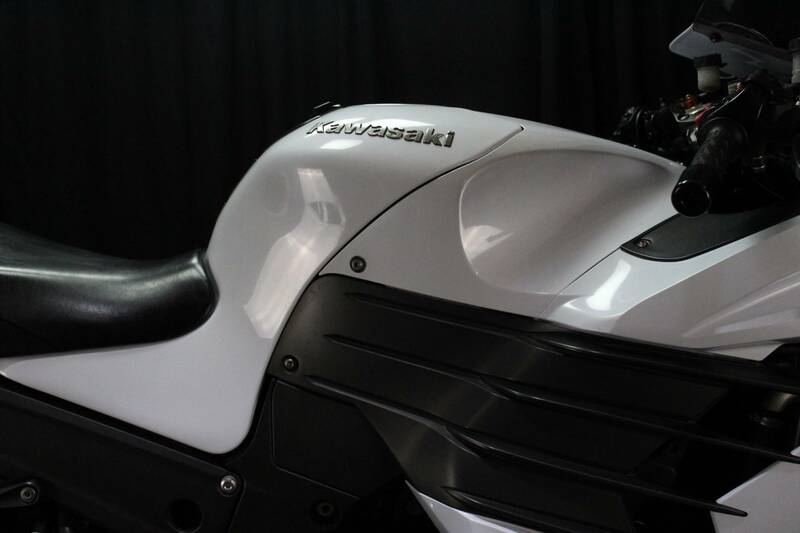 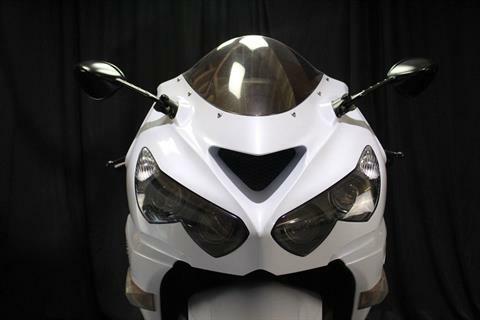 Quadruple projector beam headlights give the ZX™-14R a distinctive look. 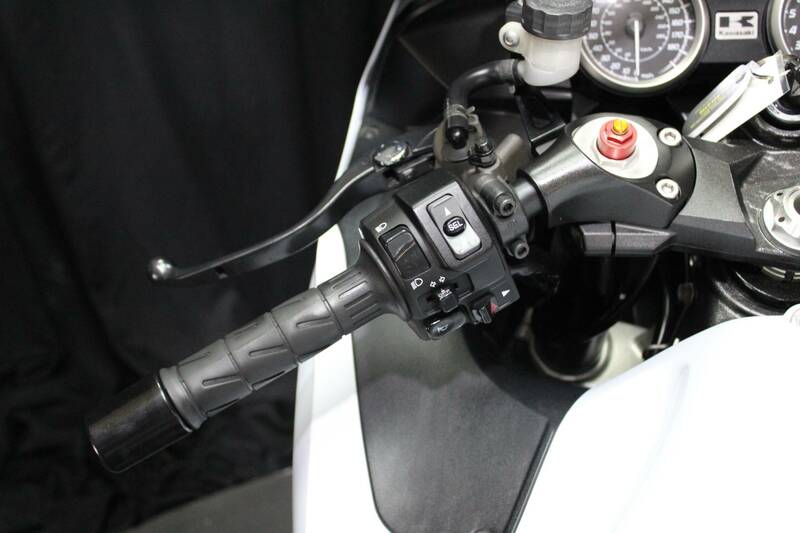 The outer lights contain position lamps and high beams, while the low beams are located in the center lamps. 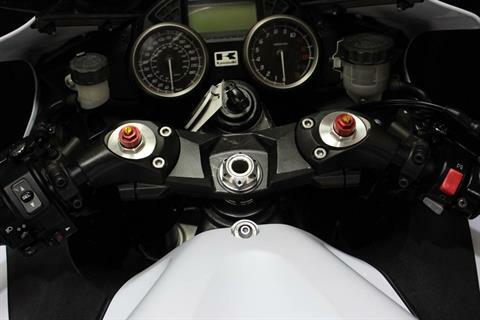 DFI® throttle body assembly features individual 44 mm throttle bodies fitted with an idle speed control and sub-throttle valves controlled by the 32-bit ECU. 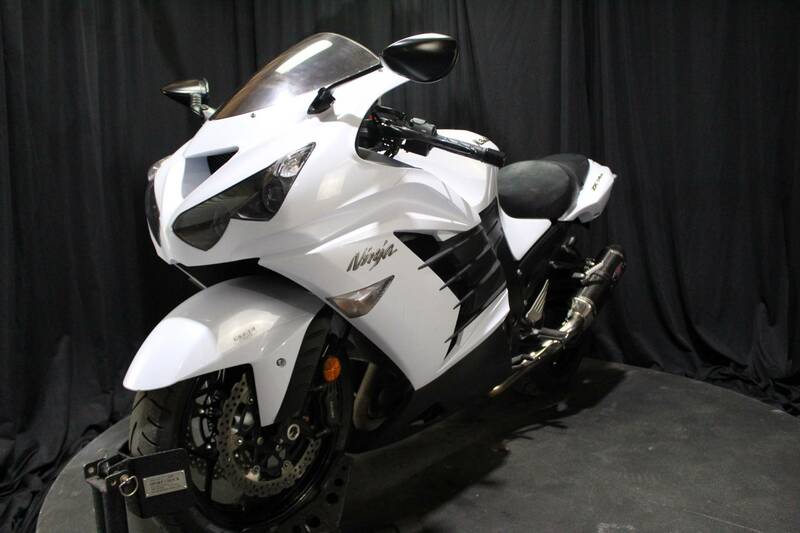 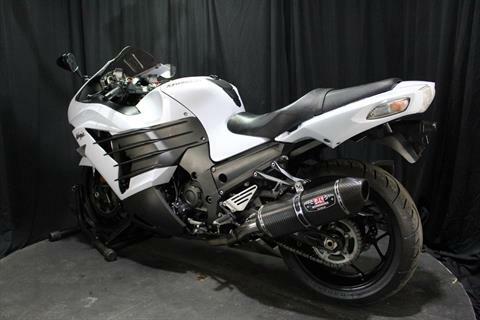 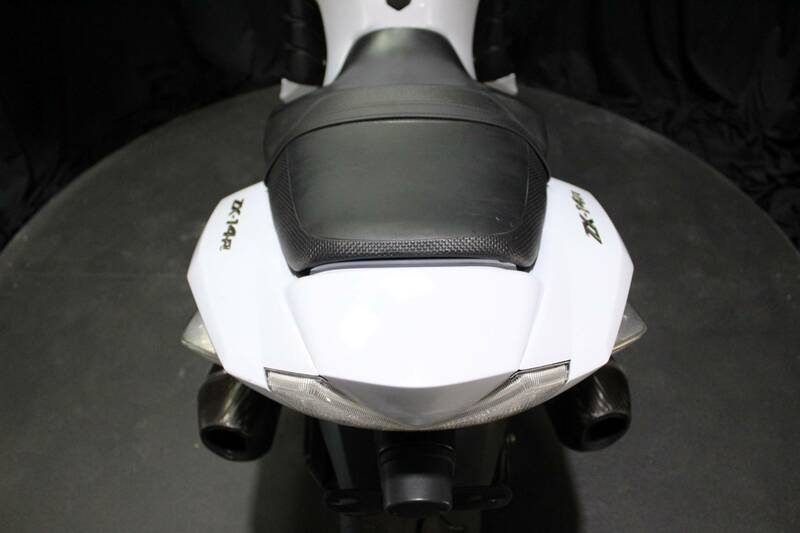 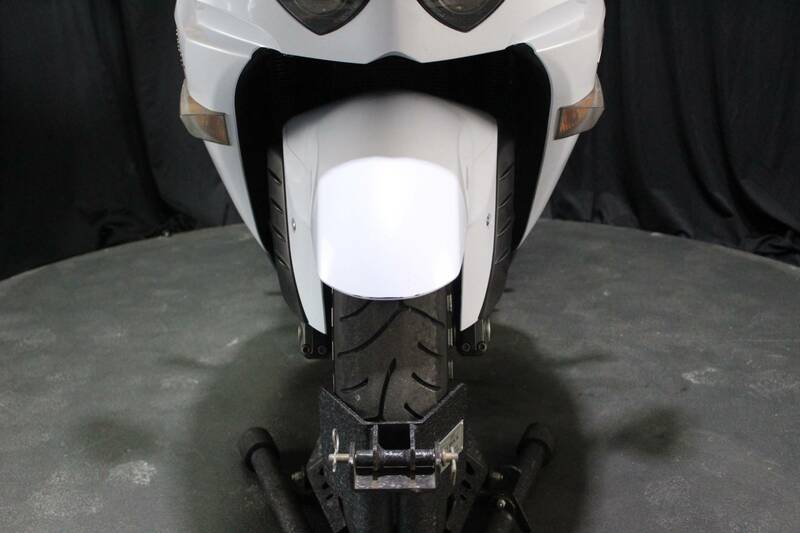 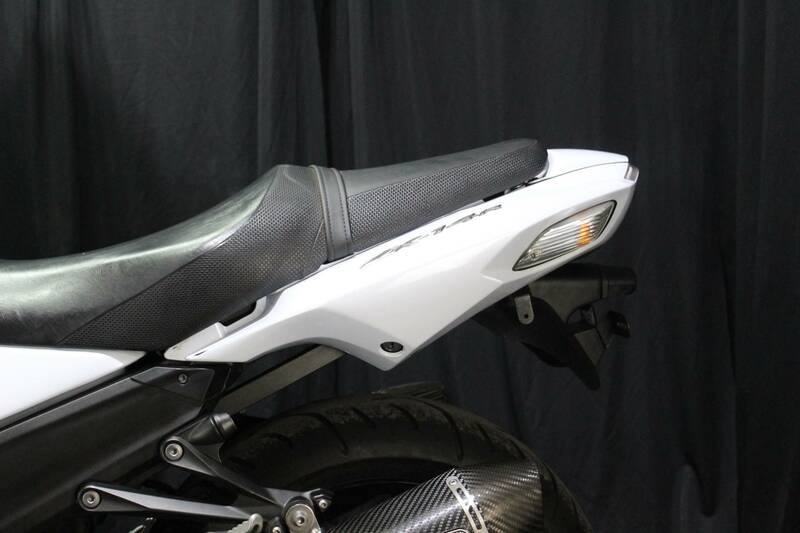 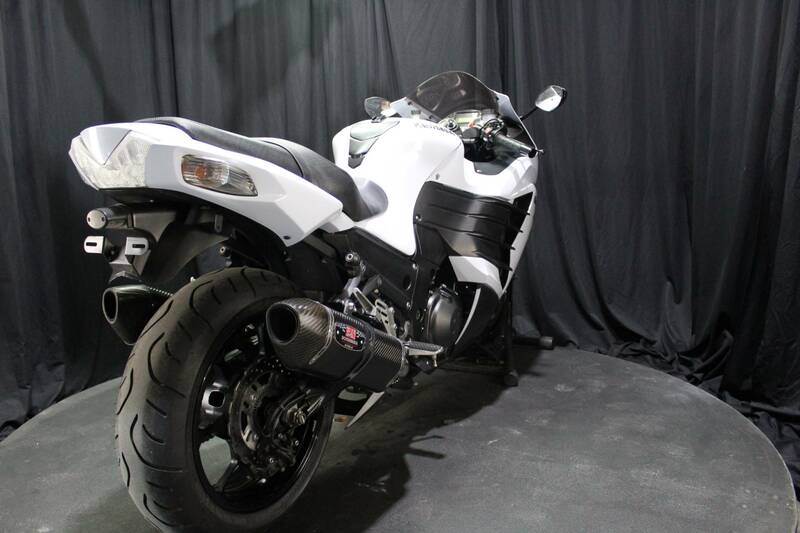 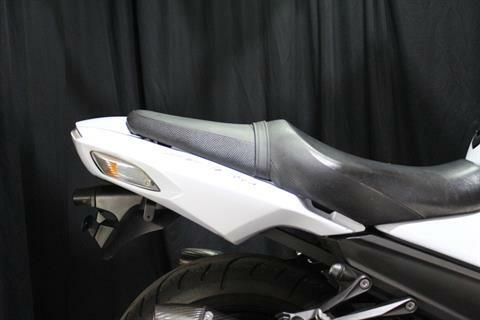 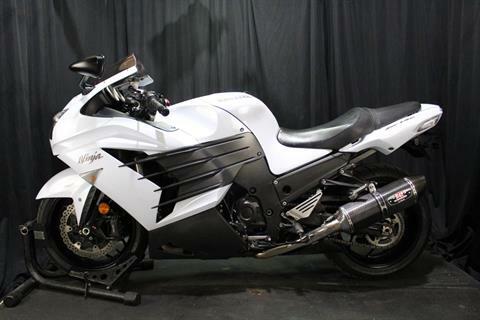 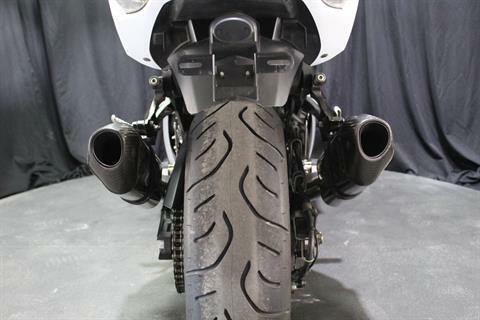 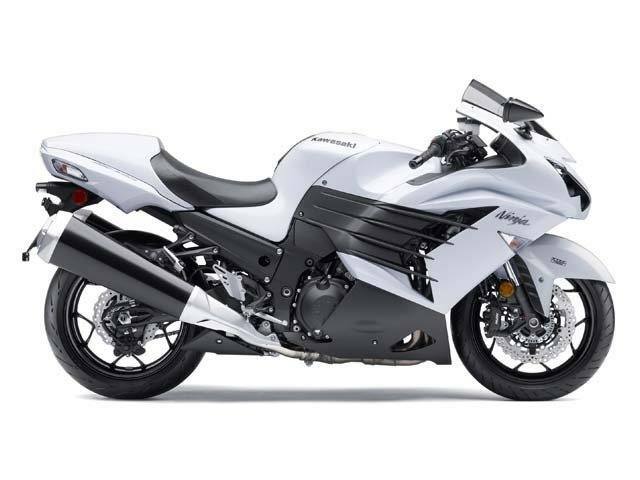 They provide precise response, smooth performance, automatic idle speed adjustment, and help the bike meet strict Euro III emissions requirements. 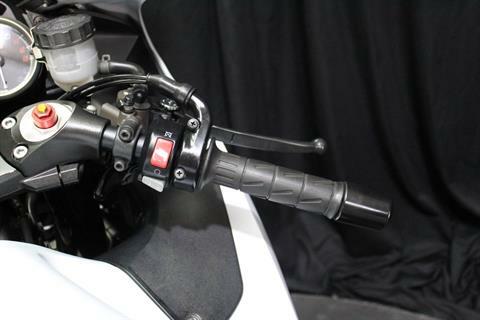 New ABS brake option is available for 2013. 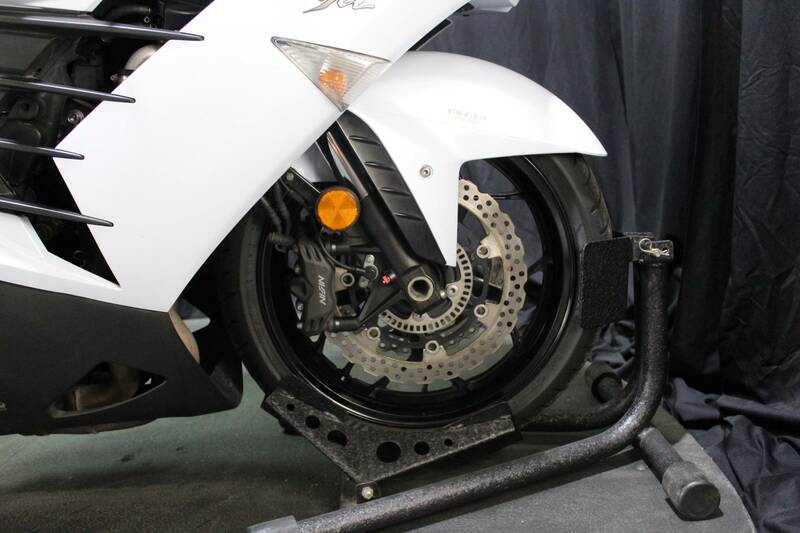 This compact and lightweight system helps increase rider confidence and helps provide additional security in slippery situations. 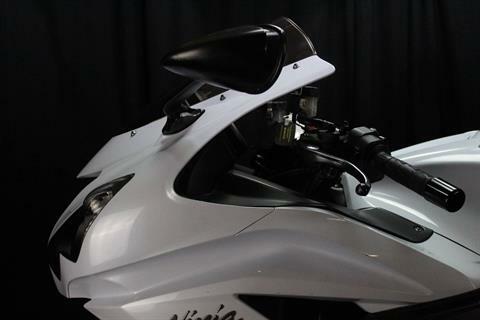 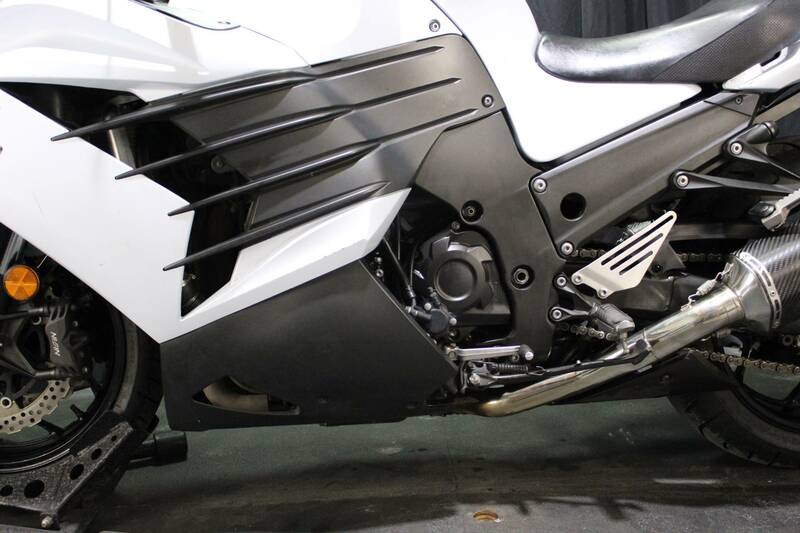 Lightweight monocoque frame is a hollow aluminum box that arches over the engine from the steering head to the swingarm pivot. 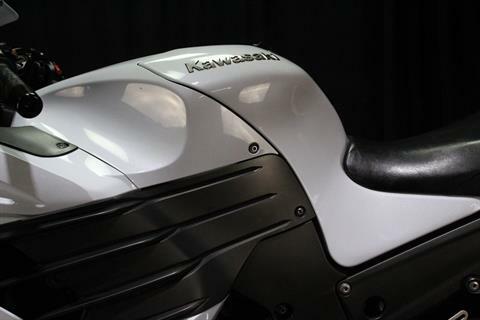 It is narrow, strong, rigid and very light.